Progress on ATLAS is ramping up just three months into funding from NASA's Near Earth Object Observations program. 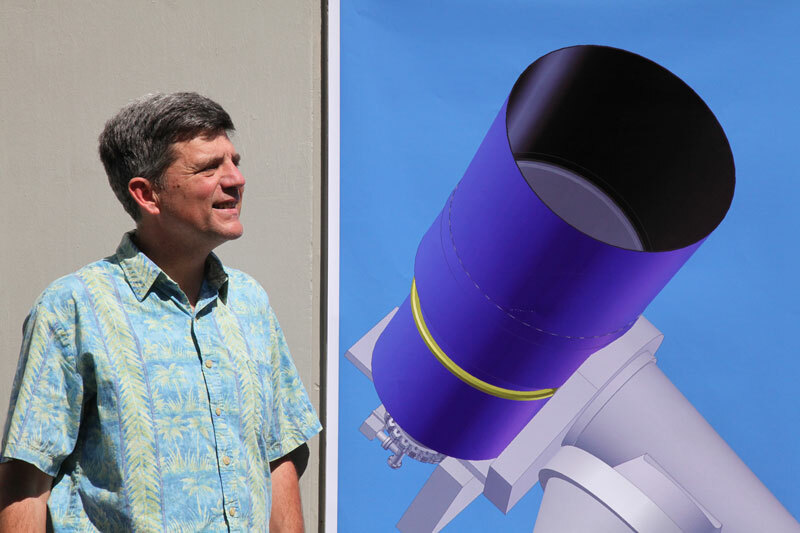 TELESCOPE: The team recently sent out a Request for Information (RFI) to solicit ideas from telescope manufacturers on how best to achieve ATLAS' ambitious survey goals. We received about a dozen innovative responses, possibly helped by the public interest in the Chelyabinsk meteor and damage. Building on these responses, yesterday (March 29) we sent out a Request for Proposals (RFP), which describes the telescope specifications required by ATLAS. We hope within a month to have several proposals for consideration and to make a decision soon after. When a decision on the telescope is made, the design of the camera, mount, and observatory will fall into place and we hope to report on those developments in our next update. The team expects construction to begin in mid-May with the goal of surveying the night sky for incoming asteroids by 2015. PERSONNEL: In January we advertised for senior and junior software engineers, and for a post-doc (a PhD graduate). Larry Denneau has accepted the senior software engineer position and is already working on ATLAS with a view to ramping up to full-time within a few months; we can't imagine a more valuable addition to the team. Larry has more than 25 years of experience, which includes developing and managing the Pan-STARRS Moving Object Processing System for the past 8 years. Applications for the junior engineer and post-doc positions close tomorrow (March 31); we expect to make offers in early April. LOCATION: We are still evaluating different locations for the telescopes. ATLAS does not require a superb "seeing" site; we care more about dark and clear sky. We also look at cost, Internet access, power, wind patterns, cloudiness, precipitation, and permitting. The best site may not always be the most obvious. How does the data get from the telescope to the computers at the observatory? How does the data get to the base facility at the Institute for Astronomy in Honolulu, and finally reported to international clearing houses like the Minor Planet Center in Boston? How do raw images get processed so that we can identify and precisely measure the location and brightness of asteroids and stars in the field? Planning these details upfront will save time, energy and discussion as ATLAS moves forward. Thank you for your interest in the ATLAS project.